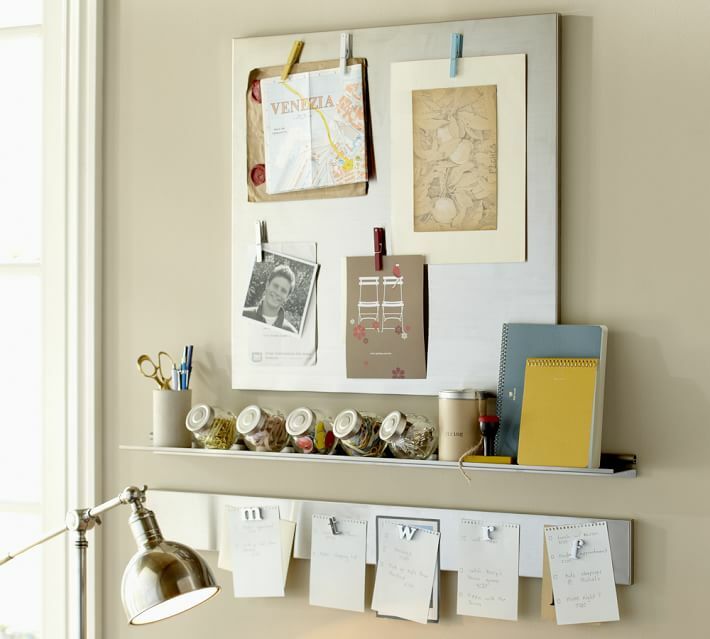 One of the more common resolutions as we head into the new year is to get organized. 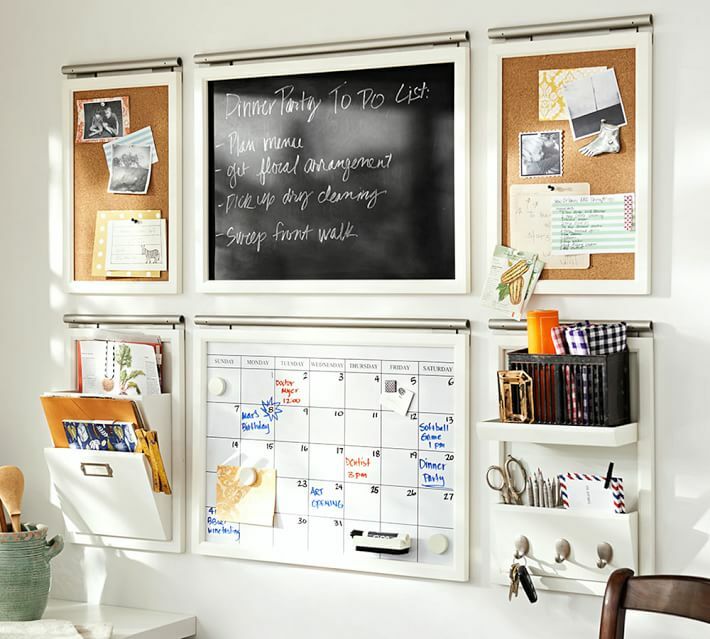 Winter is a good time to take advantage of all the extra time we spend indoors to tackle some of the larger organizing projects around our home. My husband and I have identified a few of those projects around our home! 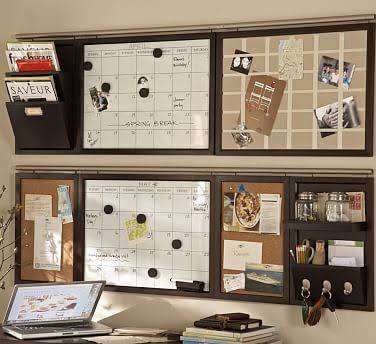 First on my list is organizing my home office. 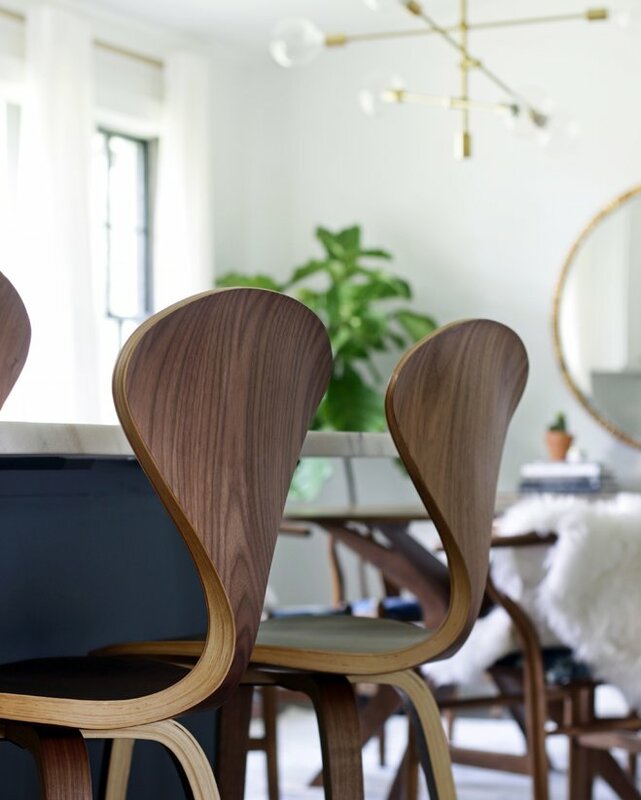 I have a good sized office in my home, but the clever ideas I'm sharing today prove that small spaces can make ideal home offices or workspaces if you lack square footage. 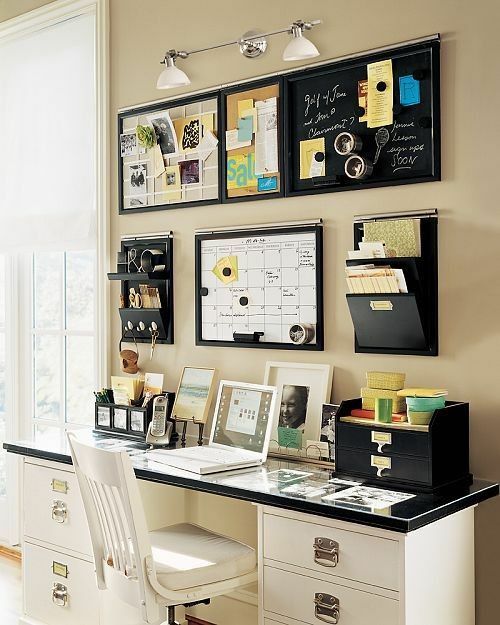 The most essential step to planning a small home office is to define your needs and designate an area. For example, I lack adequate storage in my office so supplies and papers stack up. If you have school-age children, you may need a system for homework and school projects. 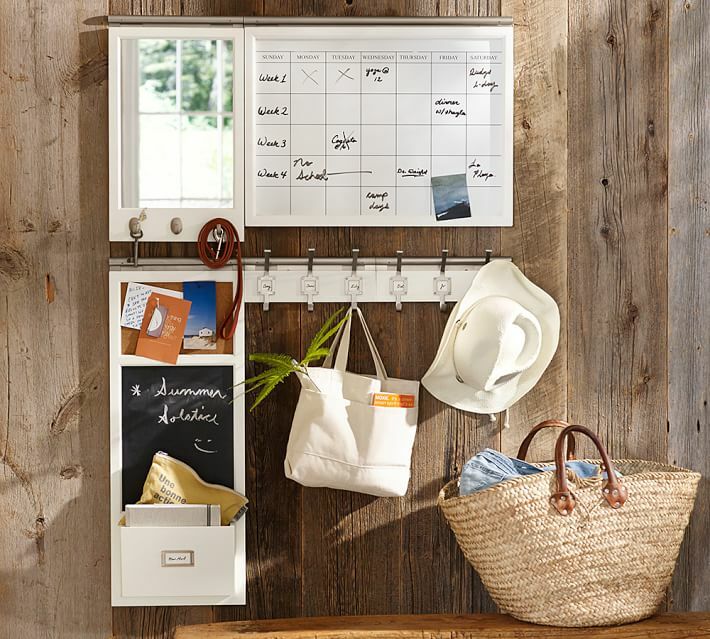 Or perhaps you just need a way to organize mail and a place to jot to-do's and groceries to pick up from the store. It's important to identify your needs and then determine where and how much space you have. 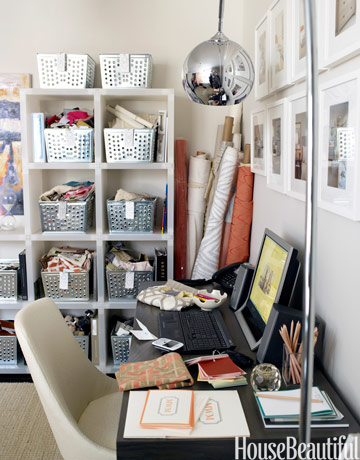 A small area in a laundry room or a closet can be transformed into a functional home office or workspace. When space is limited, I love the idea of using modular wall system components. 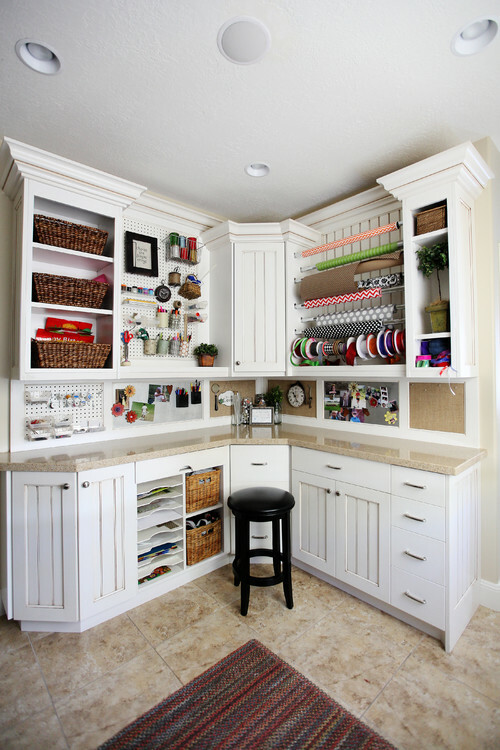 You can have an organized and functional area utilizing little space. And best, it gives you the flexibility to choose the components that work best for you based upon your needs. 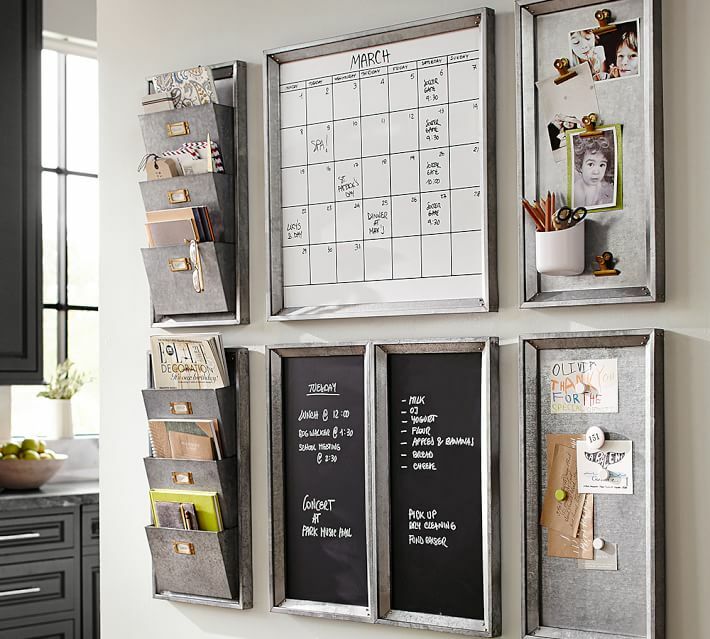 I am particularly fond of the galvanized pieces in the ideas above from Pottery Barn. You can find these pieces HERE and the options are endless. Another clever and versatile idea using modular pieces, is a rod system. The various components have hooks which hang from rods. The systems found above and below are also from Pottery Barn and can be found HERE. Wayfair also carries a rod system with a great selection of components, so you can compare prices and find the components that work best for you. See HERE. 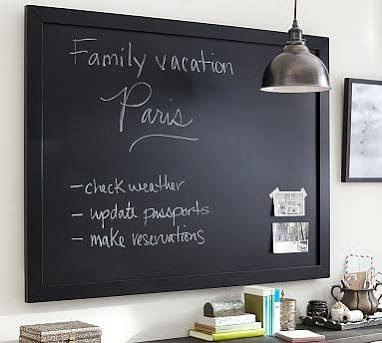 This stylish framed chalkboard from Pottery Barn is 3' x 2' and can be found HERE. I've also seen long rectangular chalkboards at Tai Pan Trading for really good prices. They come in two lengths and approximately 18" wide. For a unique look, stack one on top of another. Isn't this idea clever? 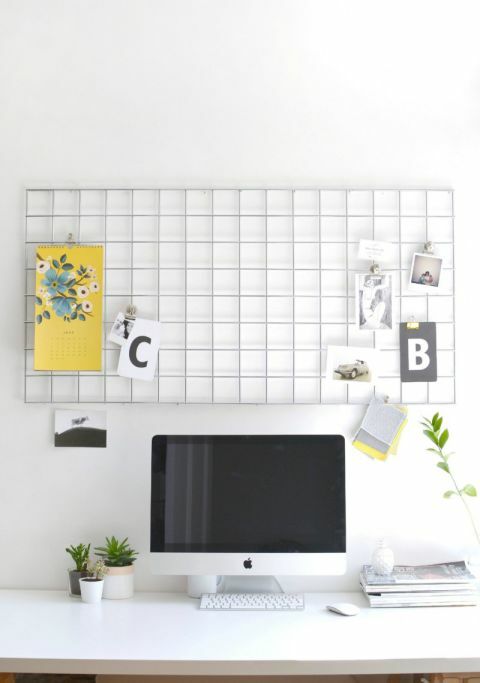 A Wire Grid Rack, found at stores such as Home Depot, Lowe's, and Walmart, or on-line at Amazon, is an inexpensive way to get the clutter up off your workspace. You can use colorful clips for a dash of color! From metal to wicker and everything in between, Bins are a stylish and ideal storage solution. You'll find a wide selection of storage totes, bins, and caddies for your storage needs at several places. 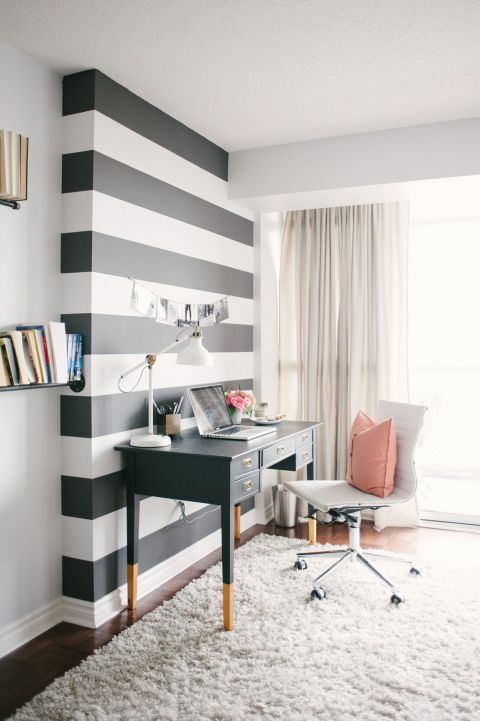 Black painted stripes along a portion of this wall define this small office space. 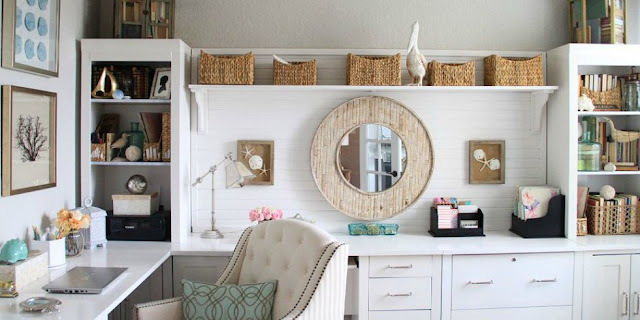 Flanking cabinets topped with a piece of stained or painted wood create a chic office space. The wall mounted modular units above create extra storage space, which is an important consideration in small spaces. Remember to provide adequate lighting for the area. If you are unable to install a light fixture, floor or table lamps work well. Especially in small spaces, look for functional ways to use the space. The stylish framed cork boards above are functional while adding a touch of class to the overall design of this office space. This corner unit is my dream workspace! A corner of a room can be transformed into an amazing work area for crafters. This unit is a great source of inspiration! 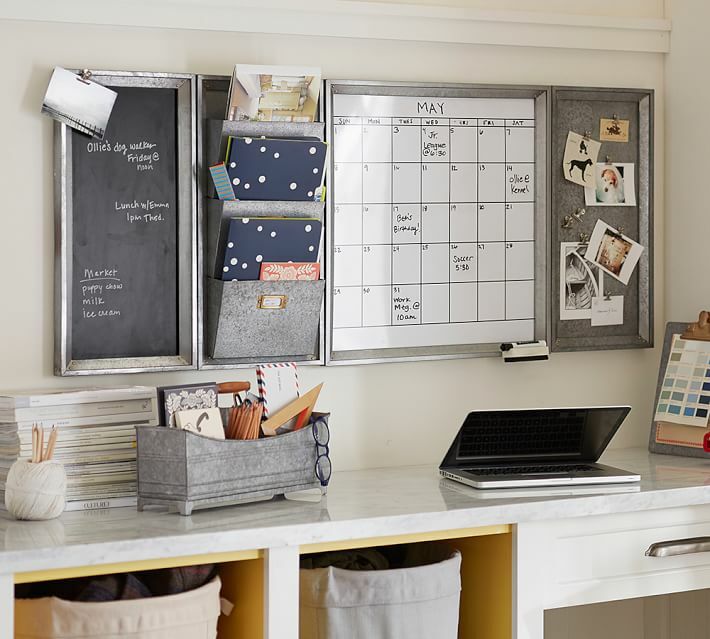 I hope these ideas inspire you to find ways to organize your clutter into a functional and organized workspace or small home office. What inspiring ideas do you have? I would love to hear your ideas! I'm a big fan of the galvanized wall system! These are all great ideas. Thanks!! Can't wait to start organizing! !